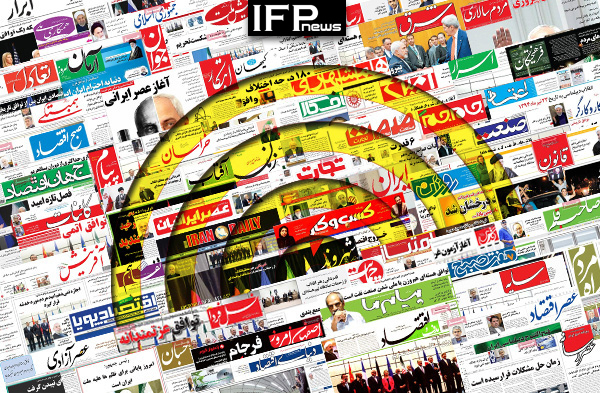 IFP has taken a look at the front pages of Iranian newspapers on Thursday, February 7, 2019, and picked headlines from 16 of them. IFP has simply translated the headlines and does not vouch for their accuracy. A top story in almost all papers today was the remarks made by Parliament Ali Larijani about the Leader’s call for “structural changes” in the country within a four-month period. However, another lawmaker later claimed the Leader has called for changes to the country’s budget bill, and not the country’s structure. Iraq’s reaction to US President Donald Trump’s vow to use its bases in the Arab country against Iran also remained a top story today, with many papers covering top Iraqi Shiite cleric Ayatollah Ali al-Sistani’s opposition to Trump’s words. President Hassan Rouhani’s comment that Tehran would embrace closer ties with the US if the latter repents also made the headlines today.